Hasselblad has been making cameras for 75 years, they've made cameras that have taken some of the most iconic images in history, including shots taken from the surface of the moon. They're a special brand, and today, CEO Perry Oosting announced the H6D, the company's new flagship medium format camera. 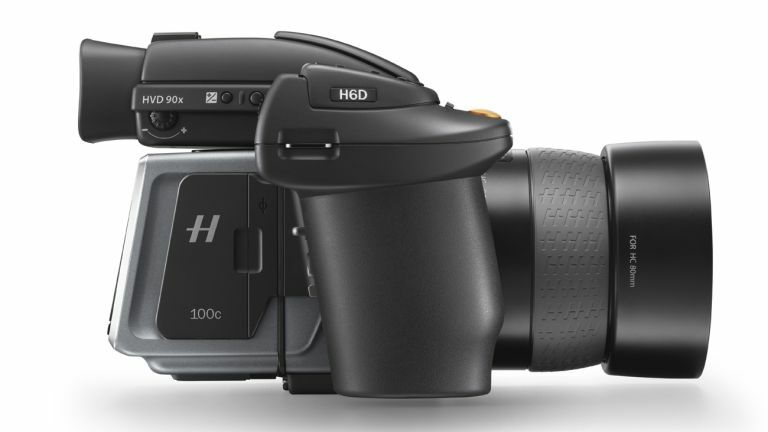 While it looks familiar (the ergonomics have been kept exactly the same) - the H6D is an all-new camera. 1. There are two models, one with a 100-megapixel sensor (H6D-100c), one with a 50-megapixel sensor (HD6-50c). Both have CMOS sensors, shutter speeds ranging from 60 minutes to 1/2000th of a second, and an increased ISO range. 2. The 100c is capable of recording 4K video (50c does full HD). 3. There's a new swishy touchscreen which delivers live view and quick menu settings. 4. Connectivity is bang up to date with USB 3.0, Wi-Fi, HDMI, and two storage options, CFast for high-speed capture and SD for regular capture. 5. It's handmade in Sweden, just like previous Hasselblad flagships. For more detail spec head over to Hasselblad's site. The H6D-100c will cost around £23,400 while the ever so slightly more pocket-friendly 50c will come in at £18,500.